From the mountains to the prairies, I can help you find any type of filming location in Colorado for your next film or video production. 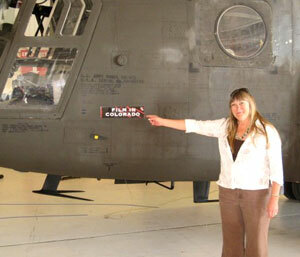 My name is Julie Anne Moore and I have been a Colorado location scout and a location manager for over 20 years. I've helped hundreds of productions acquire the perfect filming locations for their projects. I have a large database of photographs displaying the beautiful Colorado locations from all over the state. Everything from scouting locations, to attaining your permits, to managing your locations, I will help your production achieve its goals. Have a look at some of my Colorado location photos, or view my film resume or commercial resume.